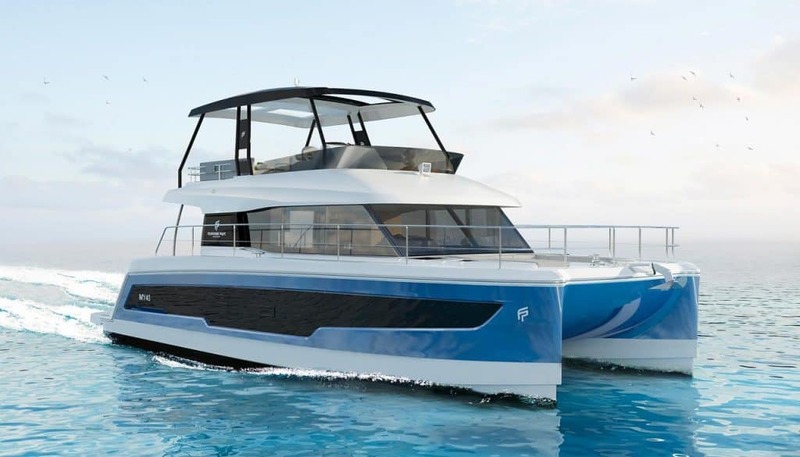 Fountaine Pajot Motor Yachts continues to break new grounds on the Motor Yachts market with the upcoming launch of the new MY 40. Following the MY 44 international success, this new 40 feet Yacht has been built on Daniel Andrieu and Designer Pierrangelo Andreani plans. Classy and powerful, she combines high performances and seaworthiness with incomparable living spaces. Inspired by the space and luxury of fine villas, this remarkable motor yacht delivers exceptional comfort and performance at sea. The MY 40 features expansive living areas, a naturally luminous saloon with panoramic windows and integrated cockpit access, superb flybridge with protected helmstation, and a decadent sunbathing station. With its spacious flybridge and sun deck, a cockpit leading directly onto the saloon, this premium motor yacht brings you all the many pleasures of the sea, both in navigation and at mooring. Yachts Croatia © 2019, all rights reserved.